Accessory elements include the Sword of Gryffindor, Helga Hufflepuff´s cup, wands, potions, house banners, flames, a cauldron and 2 magnifying glasses. 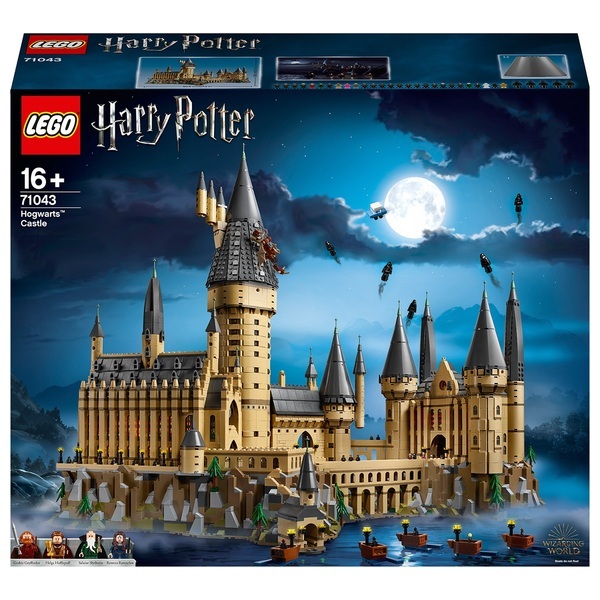 Make the magic come alive at the LEGO 71043 Hogwarts Castle! This highly detailed LEGO Harry Potter collectible has over 6,000 pieces and offers a rewarding build experience. It comes packed with highlights from the Harry Potter series, where you will discover towers, turrets, chambers, classrooms, creatures, the Whomping Willow and Hagrid´s hut, plus many more iconic features. And with 4 minifigures, 27 microfigures featuring students, professors and statues, plus 5 Dementors, this advanced building set makes the perfect Harry Potter gift.